After the election of Donald Trump as president of the United States, pundits and academics have begun to take a serious look at the influence of political and cultural tribalism. There’s been no shortage of op-eds on the topic from the left, right, and center. New releases from Jonah Goldberg and Ian Bremmer, among others, have attempted to diagnose the phenomenon at home and abroad. 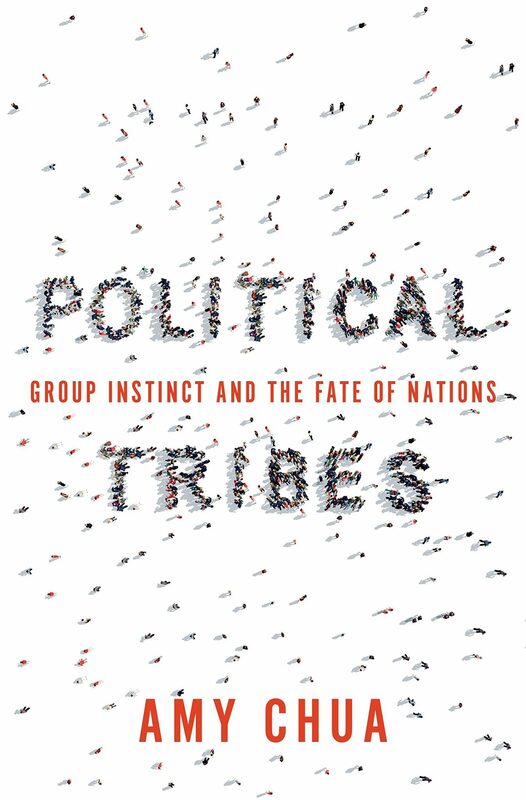 Also taking aim at challenges posed by tribalism is Amy Chua in her new work, Political Tribes: Group Instinct and the Fate of Nations. You may recall that Chua—professor of law at Yale University—is the author of Battle Hymn of the Tiger Mother, which sparked a lively and serious debate about the nature of parenting in America several years back. Chua’s thesis in Political Tribes is straightforward, whether she’s evaluating tribalism in the United States or with regard to foreign policy. Simply put: There’s a great deal of tribal identity at work in politics, and blindness to it can lead to military disaster (e.g., Vietnam, Afghanistan, Iraq) and severe political miscalculations at home, such as widespread misdiagnosis of the 2016 election. Key to Chua’s analysis is the notion of market-dominating minorities. These are minority populations, often but not always ethnic in nature, who historically hold economic and political power over a much larger but less influential majority population. While Chua makes an interesting case for rethinking American involvement abroad on this basis, it’s her evaluation of the American social and political climate that evangelicals may find helpful for navigating their own tribal tendencies. Though American economic and political power was traditionally held by WASP elites, Chua notes that this monopoly has been broken down in large measure over the last century. Today’s power structure isn’t ethnic (though it remains so to a degree) as much as meritocratic, made up of people who are well-educated, cultured, privileged, and existing in a cultural milieu the rest of America often struggles to understand. The less powerful majority isn’t necessarily uniform. It includes supporters of Occupy Wall Street and Black Lives Matter along with supporters of the Tea Party and President Trump. Chua is enormously fair to majority groups on both the left and right, and she challenges these powerful minorities to learn what motivates the majority. There is a lesson here for evangelical leadership. The framing of evangelical debate on a number of issues—immigration, racial reconciliation, PC culture—often runs headlong into this problem. You have to have been hiding under a rock to have missed that there’s a major disconnect between younger evangelical leaders and a lot of people sitting in the pews on Sunday morning. Chua’s framework of majority/minority power fits nicely, if uncomfortably, over the evangelical paradigm. Immigration is the most obvious example of this phenomenon, where there’s significant disconnect between the rhetoric of evangelical leadership and the voting habits and concerns of rank-and-file evangelicals (who overlap significantly with rank-and-file Republicans). Evangelical leadership can readily point to the biblical admonition to love one’s neighbor, but that’s not necessarily the source of disagreement. Sometimes evangelicals who share the same allegiance to biblical authority prioritize different practical concerns. Chua’s exploration of the American voting public in the last few years is instructive. Media and political elites failed to understand both the populist left that drifted toward Bernie Sanders and the populist right that ultimately elected Donald Trump. I fear that evangelical leadership, who must be considered elites relative to their own group, are failing to understand the tribal instincts of their own congregations. While we would prayerfully hope that a Christian life steeped in the study of God’s Word would direct people in a particular way, we often fail to understand that life is complicated, and voters are driven by a number of concerns. Penguin (2018). 304 pp. $28.00. Beyond that, we remain fallen creatures. Author Jonah Goldberg is fond of quoting the Roman poet Horace: “You may drive nature out with a pitchfork, yet she will still hurry back.” Christians aren’t immune to tribalism. Indeed, I would argue it’s our default setting, and this side of eternity we’ll always have to fight it off. It’s not always evident even between believers who tout biblical truth how we should apply the Bible to complicated political issues. If evangelical leaders consistently fail to understand the tribal nature of their own congregations—and indeed the tribal nature of their own elite circles—then evangelicals and their confessional cousins will have less and less influence as this peculiar century groans forward. Evangelicals face a delicate balance. On the one hand, our identity in Christ and our faithfulness to the teaching of Scripture, along with our fidelity to the confessions of our respective theological traditions, should shape our outlook on the world around us. Yet evangelicals don’t always agree how we should apply that theology day to day. We remain human—simul iustus et peccator—and will always drift toward our tribal tendencies, whether based on class, race, region, or some other form of identity. Evangelical leaders should put painstaking effort into understanding all that motivates evangelical voters before offering a prophetic word. Failure to do so will only exacerbate the gulf between evangelicals and their leadership, which in turn will inhibit positive influence on civil society and, above all, their witness to the gospel. Matt Stokes is a writer in Birmingham, Alabama. His work regular appears in the Alabama Daily News and has also appeared in the University Bookman. You can follow him on Twitter.